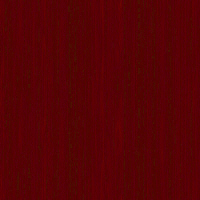 Cigar Affection | Cigar News, Reviews & Ratings for Cigar Enthusiast & Aficionados. 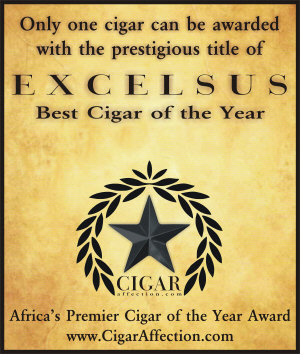 Cigar Affection is home to Africa's only Cigar of the Year award - The Black Star EXCELSUS Best Cigar of the Year! Africa's only Cigar of the Year Award! Cigar Affection is the leading website in Africa for cigar enthusiast & aficionados who enjoy sharing their various cigar experiences. Newcomers to the exciting world of cigars will also find valuable information and advice on where to buy, what to choose, and where to enjoy a great cigar in South Africa. You will find the latest news, reviews and rating as well as information about the different cigar shapes and sizes, how cigars are manufactured as well as the different Vitolas (shapes/variations) and what they are called. You can also brush up on your knowledge of cigar terms in our Cigartionary section. Remember to sign up for our mailing list and come back soon! - store a cigar in a humidor. Learn about each cigar brand, their heritage, see the different and beautifully designed logos of the top cigar brands you will find in South Africa at any good tobacconist and cigar lounge. Say your say and talk to us! Send us an email and tell us what you think or might want to see on Cigar Affection. In this directory you will find the best Tobacconists that stock the cigars and accessories that are featured on Cigar Affection. Africa's exclusive online magazine for cigar news, reviews & ratings. Cigar Aficionado has just announced their Number 1 cigar for 2013. Click here to find out which cigar was voted Number 1. Click here to view the Top 2-5 cigars. Click here to view the Top 6-10 cigars. Check back tomorrow to find out which cigars are ranked 11-25. Yesterday (16/12/2013) Cigar Aficionado released the first part (cigars 6-10) of the list of their Top 25 Best Cigars for 2013. They have just released the cigars ranked 2-5. Check back tomorrow to find out which cigar will be ranked the Number 1. On Thursday, 19 December 2013 the Top 11-25 Cigars will be announced. This time around Cigar Aficionado decided to release their Best Cigars for 2013 in December and not in January of the following year as the custom previously was. Click here to view Cigars 10, 9, 8, 7 and 6 with pictures! Check back tomorrow for Cigars 5, 4, 3 and 2 and Wednesday, 18 December 2013 for the Number 1 Cigar. There can only be one... and this cigar received a rating of 96! 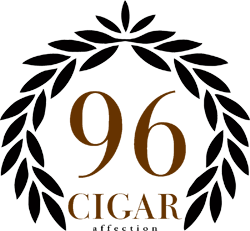 Click here to find out which cigar was awarded with this very special award! Since the launch of this great new book is imminent we thought it will be a good idea to tell you about it! 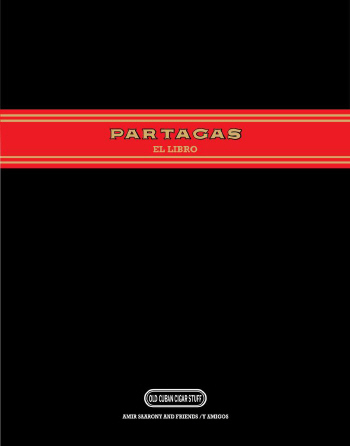 With 272 pages and more than 800 images, Partagás El Libro shows the great history of one of the world's most famous cigar brands. The lives and exploits of the men who owned it, their successes and foibles. Click here >>> for more pictures and snapshots! 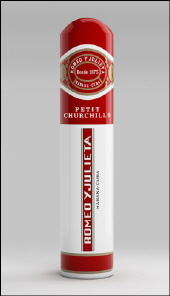 Romeo y Julieta Petit Churchills, in aluminium tubes will be arriving to all markets worldwide in the coming weeks. 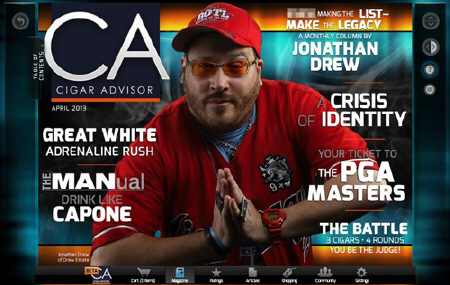 Cigar Advisor is a new online cigar magazine with a difference and don't take that comment lightly! We at Cigar Affection enjoyed it so far. Visit the website for some interesting insights about the world of cigars. 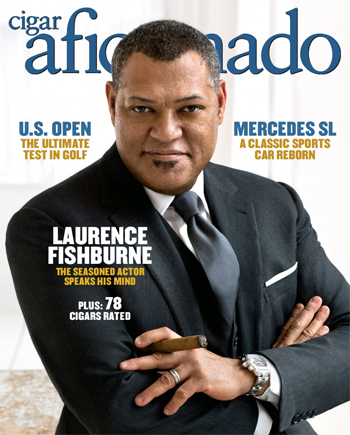 On the front cover of the May/June 2013 issue of Cigar Aficionado is Laurence Fishburne - "The seasoned actor speaks his mind". The issue is jam-packed with good life articles relating to sport, tech, food, luxury cars etc. 78 Cigars are rated in this issue. You just have to see these ratings! The Alec Bradley Prensado Churchill (2011 Cigar of the year) is also resmoked and rated in this issue. This specific reviewed cigar from Rocky Patel’s Vintage line of cigars is called the Vintage 1990 Robusto. It just comes to show how cigar manufacturers blur the lines when it comes to naming their cigars. Traditionally a Robusto is 124mm x 50 but this Robusto from Rocky Patel is 140mm also with a ring gauge of 50. The Cohiba Maduro 5 line of cigars was introduced in 2007. The line consists of the Secretos, Genios and the Mágicos that is featured in this review. Here you will find a 9 part video series that clearly shows and properly explains the complete process of cigar manufacturing. The videos cover the entire process from seedlings in the nursery, harvesting, curing, rolling, quality control right through to the final packaging stage. You won't find a better explanation anywhere. 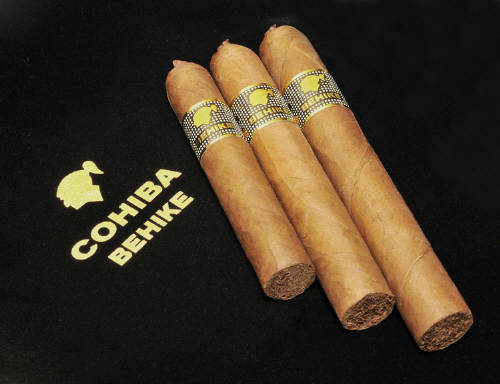 Cohiba Behike BHK 52, 54 & 56 Review Coming soon! We have received our samples of the Cohiba Behike BHK 52, 54 & 56 today and we are ready to write a full review on each of these magnificent cigars. The Behikes are some of the highest rating cigars in the world and we can't wait to light them up! So come back soon to hear what we have to say. Alec Bradley Black Market "Punk"
Only the best cigars will receive this accolade.